This Teacher Guide will lead you through First Start Reading Books A-D and will provide helpful assessments and teaching tips. The Animal Alphabet Coloring Book helps students learn their alphabet while they color animals from A-Z. A great supplement for any phonics program, this fun and informative coloring book will solidify student's mastery of their letters as they associate them with the wild animals they get to color themselves. This is the first book in the Christian Liberty Nature Reader series and is intended for use for Kindergartners. This little book is meant to encourage its readers in their curiosity about God's creation. Soft and White is a colorfully illustrated primary reading book that is full of short stories containing interesting character training themes, science, history, nature, and more. This book allows readers to practice reading long-vowel words ending in a silent e.
Scamp and Tramp is filled with many stories allowing your beginning reader to practice reading simple short-vowel words with consonant clusters. From the publisher: "Fun in the Sun is the first book in a series of six beginning readers. These readers are filled with hundreds of short stories containing interesting character training themes, science, history, nature, and more." The Story Bible is a collection of stories from God's Word that will be a treasured resource. The realistic art brings each story to life and will engage your child with the narrative of God's redemptive plan. 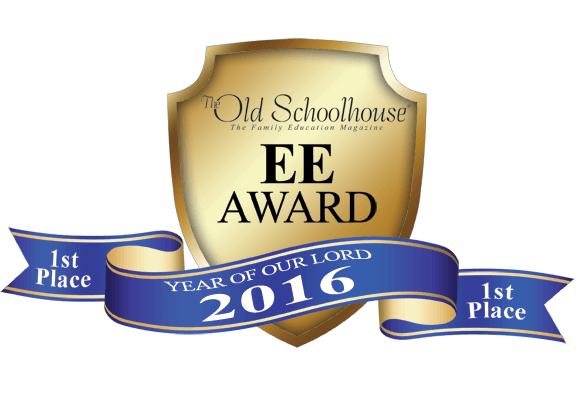 Learning stories from the Bible is imperative to the molding of a child's core values. This guide will facilitate oral discussion for each Bible lesson as a gentle introduction to the major Bible stories. Lessons are tied to our Kindergarten, First Grade, and Second Grade Curriculum Manual lesson plans, and are intended for use with The Story Bible. Regarding the Rod & Staff Grade 1 Math Teacher Manual, 3rd Edition, the publisher says: "The hardcover teacher's manual covers the whole course and is essential for teaching it. A reduced copy of the pupil's lessons, speed drills, and practice sheets are included with answers filled in." Rod & Staff Grade 1 Math Practice Sheets provides further course work and practice for what they learn throughout the course. These Practice Sheets come on 3-ring punched paper that is meant to be put into a folder so that the sheets may be easily accessed by the student. Composition & Sketchbook: Book One - This font is ruled with a middle dashed line, and each page is divided in half so that students draw on the top half of the page and write on the bottom half, so 4-5-year-old students aren't overwhelmed by a 2-page spread. The creative arts are an essential part of the primary school education. By using the activities in these books, you can reinforce number and letter recognition, strengthen fine-motor skills, and foster creativity and confidence. A Child's Book of Poems is filled with fields of yellow wildflowers, purple mountain ranges, tropical islands, and icy oceans. Introduce your child to village blacksmiths, delicate fairies, owls, pussycats, and children just like them. Featuring two hundred classic poems, from the fantastic flying-shoe voyage of "Wynken, Blynken, and Nod" to the peacefulness of "The Friendly Cow," the humor of "The Crocodile" to the frolicking of "The Fairies," this book will awaken the imagination. Artist Gyo Fujikawa's full-color and black-and-white illustrations will delight readers of all ages and add to the thrill of reading these classic children's poems. Included in our Complete Kindergarten Curriculum Package, Animals Animals by Eric Carle features brilliant and colorful collage designs. This book is best suited for early elementary grades, but the bright illustrations will appeal to children of all ages. If you have enjoyed the music enrichment sections of our grade-by-grade Enrichment Guides, you will love our new supplement devoted exclusively to music. For each piece of music scheduled weekly in our Kindergarten, First Grade, and Second Grade Curriculum Manuals, Music Enrichment gives a short backstory on each piece and biographical information for its composer, as well as a few questions for discussion about the music being studied. Teach your child more about what the song is about, interesting facts about the instruments used in the song and how they work together, interesting aspects about the song's structure, and why the composer wrote it. Reading is a subject that should continue through the summer to avoid regression. These new summer reading journals are the perfect way to encourage young children to continue working on reading fluency as well as exposing them to good literature. The font size gets smaller for each journal and each page is divided in half for drawing and writing small summaries. 100 Days of Summer Reading I for kindergarten has the unique goal of reading a book a day for 100 days! Based on years of research, Memoria Press is pleased to offer the second year of our planned Junior K-12 classical curriculum. Now your child can have a Highlands Latin education at home using the very same materials our teachers use in our highly acclaimed Kindergarten program. By following the daily lesson plans in our full-year Curriculum Guide, you will have every tool you need to give your child the very best education possible. Our outstanding phonics/reading program provides extensive practice in the critical first step of learning to read–blending short vowels in three-letter words. 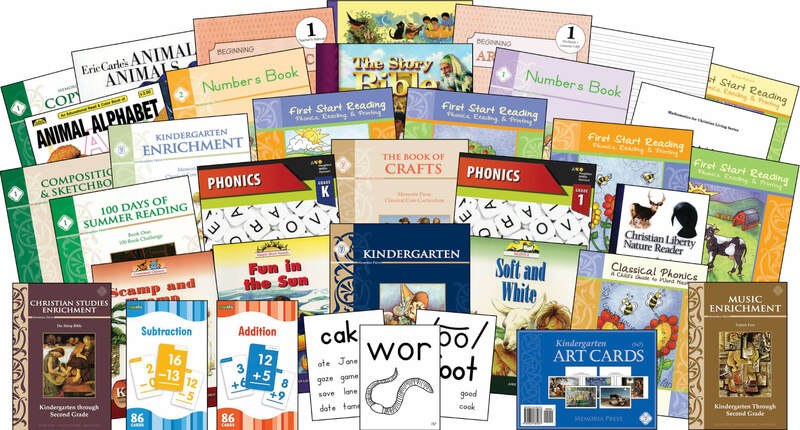 To ensure reading success, we provide abundant reading practice, including First Start Reading’s 25 phonetic stories, 20 additional beginner books, and three colorful readers with short stories that will reward and motivate your beginning reader. *The Kindergarten Recitation Lesson Plans are included in the Kindergarten Curriculum Lesson Plans, or it can be purchased separately. Our Kindergarten Curriculum is designed for reading-ready children, those usually 4-6 years old with the ability to count to ten, print their names, recognize most letters, rhyme words, and segment sounds. The primary goal of this curriculum, of course, is learning to read. Additional goals of no less importance are: correct pencil grip, correct letter and number formation, and basic arithmetic, including counting, addition, subtraction, telling time, and counting money. This was the first “full grade package” I did with my youngest. We actually started her at age 4 and took 2 years to do this package…it was WONDERFUL!!! I had used bits and pieces of MP in the past and this was what started me to using ALL MP with all 4 of my children. Excellent! The Kindergarten plans are with a week on a two-day spread so everything is clear and well seen. Having it in a spiral, now I can flip it back and do the half a week at a time without worrying about the pages coming out and that is delightful. The plans could essentially start at any time of year with a few tweaks to when you use which Enrichment week. As the plans are written they are for a Labor Day week start date (beginning of September), early October Christopher Columbus theme, late October for pumpkins, late November Thanksgiving, three weeks of a Christmas theme, and in my opinion three weeks of nocturnal reads for January, and then a groundhog’s story for early February. Lastly on this same schedule, it takes you onto an Easter read at the end of March or beginning of April, with spring reads that then take you and your student through May. Following this schedule loosely we still had plenty of breaks and time off as we chose or needed. Personally we had a skills hiccup that we opted to spend more time on and as of now we are and only [ETA: ended up] three weeks off from “our plan”. This is no bother to me and I am very satisfied with our progress in the Memoria Press plan! During this past year, we have covered Phonics, Reading & Printing (handwriting/penmanship), as well as part 1 (of 2) in Beginning Arithmetic, Bible Stories and prayers; 33 weeks of poetry, art, music, recitation, literature and related science and social studies topics. Essentially everyday consists of Recitation/Memory work, Phonics, and Math; while one day per week also includes copywork, literature, or social studies, science, and/or music, art, poetry. Be it review or new material, Memoria Press Kindergarten introduces students to the Alphabet (upper and lowercase letters) and Numbers from how to identify them and write them. We then continue on to learn to read from CVC, sight words, and decoding with both short and long vowels. As well as, the concepts of single digit addition (up to 6), subtraction (from 6), pennies, dimes, nickels, counting 1-100, telling time to the whole and half hour, and lastly a basic intro to fractions and ordinal numbers. The meat of this program is definitely reading, writing, and arithmetic with the icing of recitation, art, poetry, literature and other Enrichment. We have had one child complete M&P Kindergarten and one going through it now. I love how things flow together. You may be learning about Apples so you get to do an art project on apples, then you get to read books on apples, then you have an art card that has to do with apples. The teacher manual is layed out excellently and if you have any questions the customer service is outstanding! I have never been treated so well or received so much help from a curriculum company before! I had high hopes for this kindergarten curriculum, but have been very disappointed in how it is laid out. The reading curriculum claims to be phonics based, when in reality it is simply a balanced literacy program—whole language with just a smattering of phonics thrown in the mix. There is not enough phonological awareness built into the program. The pace moves far too quickly to allow for mastery. The mathematics portion of the curriculum gives no regard for children actually understanding the concepts presented. The literature and enrichment portions are wonderful as are the relationships we’ve built in our Cottage School. However, it’s very frustrating to have to supplement the curriculum so heavily. Thank you for your honest feedback, stacylwhitaker. We appreciate our customers’ opinions and would like to address some of your concerns. Readiness for kindergarten is critical. Memoria Press kindergarten level is the learning to read level. This means students beginning kindergarten need to have the phonemic awareness skills to be reading ready. First Start Reading takes 25 weeks introducing a letter at a time. Within each lesson students learn to recognize the letter, recognize the sound that letter makes, learn how to write with the letter and learn how to blend and read with that letter. Quite a bit of phonetic work, much of which builds phonological awareness through the pedagogy methods, is work reading rhyming word families. There is a reason to the specificity of our implementation which is tied to success with the materials. FSR does include memorization of some words as a whole. But memorizing some common words is not a whole language method or a balanced literacy program that teaches whole words for memorization only and expecting intuitive understanding later without direct phonetic instruction. Our common words (there are approximately 67 in K), are taught as such because they break the phonetic rules students will learn, or contain phonetic combinations they aren’t yet ready to understand. For several of these words students are able to and are given instruction in how to decode by the end of their primary years, once their phonetic instruction is complete. Cheryl Lowe once said that students don’t need to know why 2+2=4, they just need to memorize that fact. The understanding comes later. We prove year after year at Highlands Latin School, following Cheryl’s sage advice, that this works. Use visuals when introducing concepts, allow students to move blocks during the introduction, even allow students to use their fingers when help is needed filling out their worksheets, but quickly move past all of these in favor of memorization.